Bonus payments totaling $100 million to AIG employees from the same unit that prompted a massive taxpayer bailout are "outrageous" but allowed under the law, the Obama administration's pay czar said Wednesday. 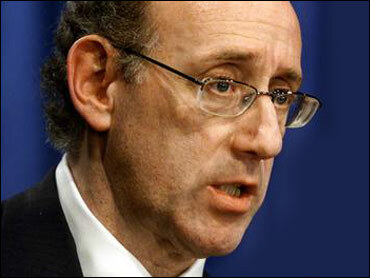 Kenneth Feinberg said the retention bonuses were contractual obligations agreed upon years ago, before American International Group Inc. received a $180 billion federal rescue at the height of the financial crisis in late 2008. "These are the old grandfathered payments," Feinberg told ABC's "Good Morning America," adding: "I do not for a minute ignore the outrage out there, which I share. But the fact of the matter is we've got to abide by the law." Feinberg said he's working to get back as much of the bonus money as possible. He said AIG employees have agreed to repay 39 million out of $45 million in previous bonuses to the U.S. Treasury. AIG is set to pay the bonuses Wednesday to employees of its financial products division, the unit whose risky bets helped sink the company and trigger the largest corporate bailout in U.S. history. AIG still owes the government $120.7 billion of its bailout. Feinberg said the company should make its last retention bonus payments next month. "Another month or so, these old, guaranteed bonuses will be a thing of the past," he said. In a statement, AIG said current and former employees had agreed to reduce their owed retention payments by $20 million. "We believe this allows us to largely put this matter behind us," the company said. But angry members of Congress disagreed, reports CBS News chief White House correspondent Chip Reid. "AIG wouldn't even exist except for the taxpayers help," said Sen. Charles Grassley of Iowa. Still, Reid reports, Sen. Grassley saved much of his ire for the Obama administration. "AIG has taxpayers over the barrel. It seems to me the Obama administration has been outmaneuvered," he said. Still, the Obama administration took a harder line on AIG. Treasury Secretary Timothy Geithner said Wednesday that Congress can recoup the AIG bonuses through a new bank fee in President Barack Obama's proposed budget. Geithner called the bonuses an "outrageous failure of policy." Appearing before the House Ways and Means Committee, he asked legislators to support the new fee as a way of getting the money back. The fee, which would be assessed on certain liabilities of the largest firms in the financial sector, would raise about $90 billion over the next decade. That didn't satisfy Texas Republican Kevin Brady, Reid reports. "The administration's handling of AIG resembles the keystone cops and it would be funny if it wasn't leaving taxpayers crying," Brady said. New York-based AIG faced intense public and Congressional criticism last March when it paid out hundreds of millions of dollars in retention bonuses to employees months after receiving the government bailout. When the credit crisis hit in the fall of 2008, the U.S. government rescued AIG from the brink of collapse in exchange for an 80 percent stake in the insurer. AIG's near collapse was not due to its traditional insurance operations, but instead risky derivatives contracts written by the financial products division. AIG is in the process of winding down that division, and has said it needs to fairly compensate its employees in order to sell off assets and repay taxpayers in full.